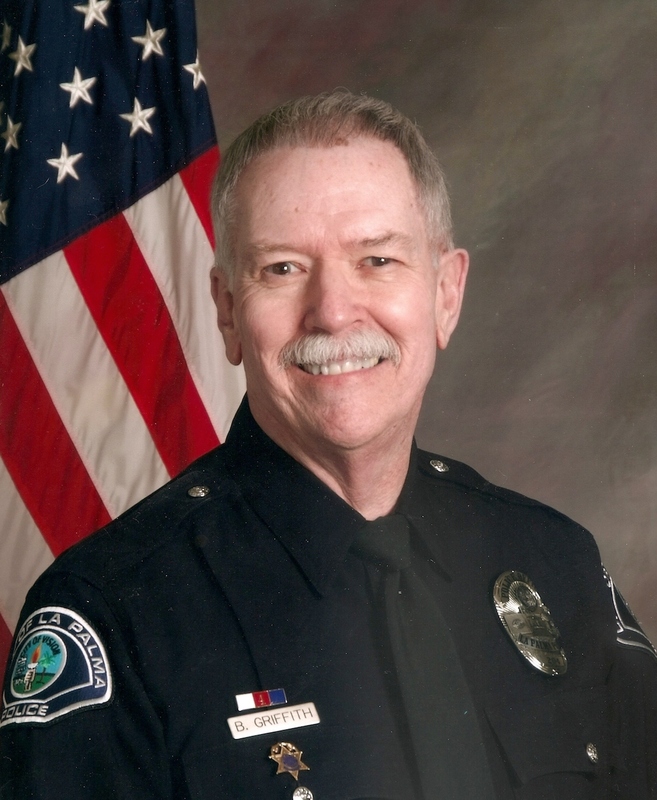 Bob Griffith has been a Reserve Officer with the La Palma Police Department in Southern California since 1992. He works out of Patrol and Detective Divisions and is a member of the North Orange County SWAT team. Prior to La Palma he served as a Reserve Deputy with the Orange County Sheriff’s Department Orange County, California for 7 years. Bob is a native of Southern California and has been married to his wife, Linda since 1971. Linda is a Free Lance Illustrator and Artist with dozens of children’s books to her credit. He has one adult daughter and 2 grandchildren. Bob holds a Bachelor’s Degree and MBA in Business Management. Bob retired after a 30 year career with an International Aerospace Staffing and Project Engineering Company in Irvine, California. He currently serves as a volunteer with the University of California, Irvine Medical Center. He is the head of the “Cancer Buddy” mentor program as well as a member of the Board of Directors for the Cancer Connection and works one-on-one coaching cancer patients. Bob was diagnosed with Melanoma in 2000, and by 2002 it had progressed to Stage 4. After several extensive surgeries and intense chemo therapy he was told he had 3 to 9 months to live. This was after a radical neck dissection, and having 24 inches of his small intestines removed at UCI Medical Center. Bob was then put on 2 years of maintenance bio-chemo therapy at the Angeles Clinic in Los Angeles. Bob has been cancer free for 12 years.